Description: Susan Bates Knit Klips aligns edges for quick seaming! These klips will keep your knitting in place for seaming, adding embellishments, or anything you need to knitting to stay put for! Finish faster and easier, plus safe for all yarns. Available in a variety of colors. Each clip is approximately 3/8 x 3/4 inch. Orange, Yellow or Purple. Color chosen at random only. 10 pc. 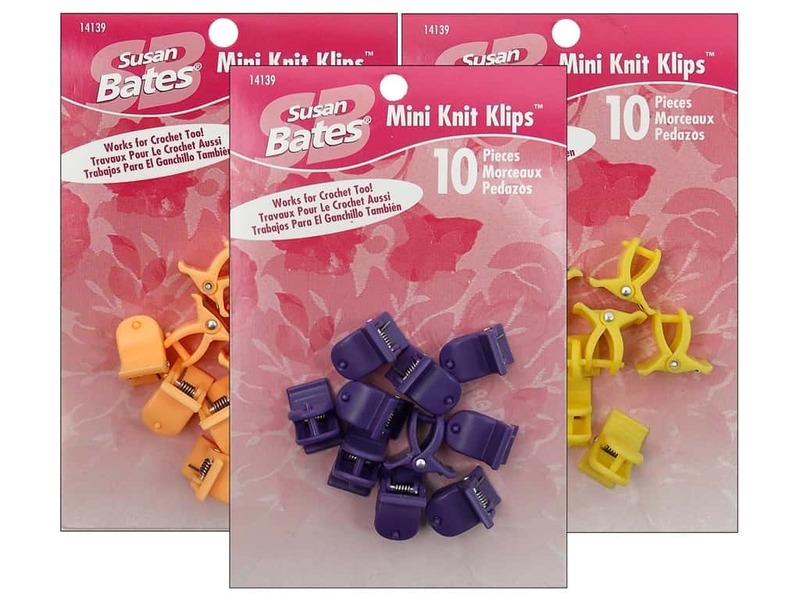 Susan Bates Knit Klips Mini 10 pc. -- CreateForLess 5.00 out of 5 based on 1 ratings. 1 user reviews.